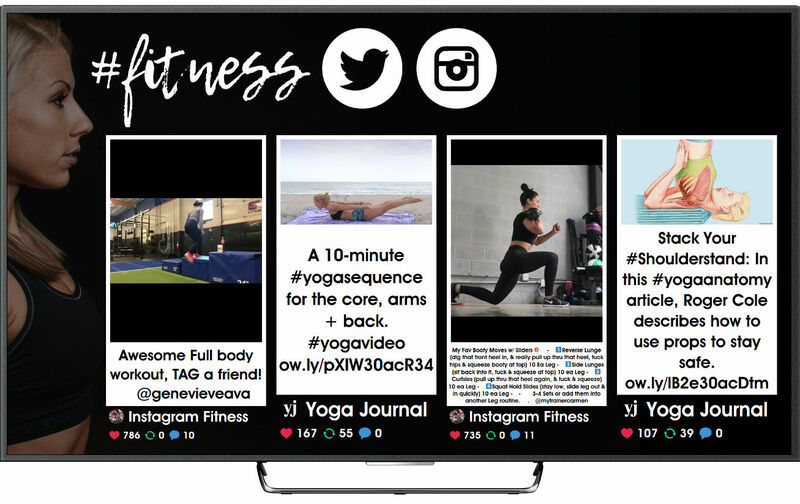 Multiply the impact of your digital signage by displaying social media contents with our social plugins and solutions. Looking for an efficient way of updating multimedia content of your screens? Whether you have a network of screens installed or start from zero, our solutions allow you to collect real-time tweets, Twitter, Instagram and Facebook photos and YouTube videos and display them on your digital signage solution. Integrate social media in your digital signage and DOOH in few minutes and boost attention and interaction with your screens. 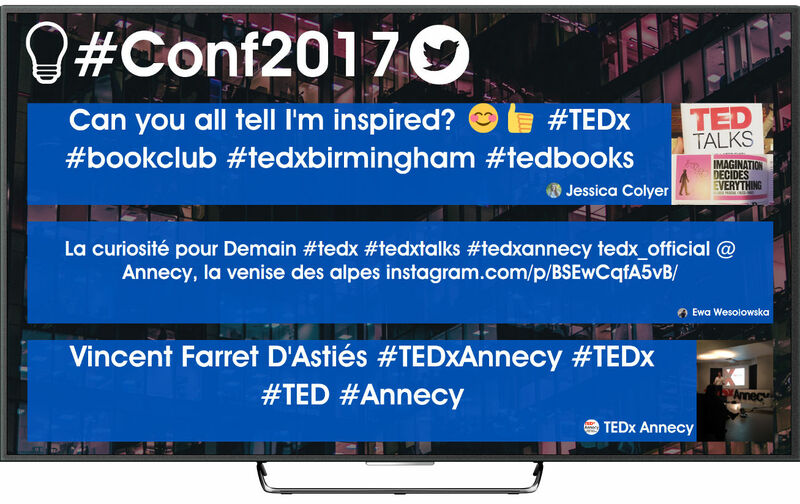 Displaying Twitter tweets on your digital signage solution is the simplest and most effective way of catching audience's attention and increasing by up to 80% conversations and interactions with your screens. 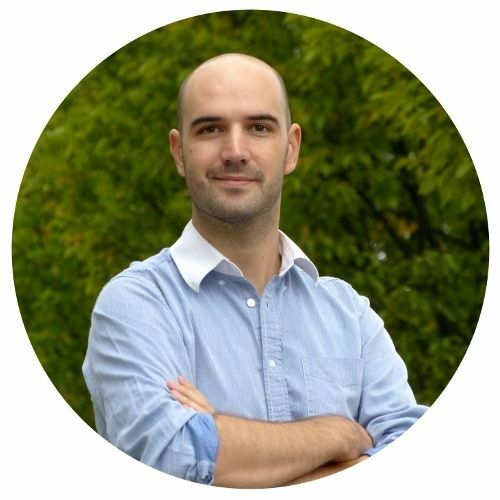 Our solution has filters for banned words and black and white lists policies to ensure that messages displayed comply with your customers' brand protection criteria. In these #selfie days, a picture is worth much more than a thousand words. That's why our solution also allows to display Twitter and Instagram photos on your screens. Besides, your can also show your own images by simply creating new Facebook albums: add pictures to your screens from any device with no additional efforts. Video creation with smartphones is an unstoppable trend, why not displaying them on screens? Record and display your own Instagram videos or select videos created by the audience. 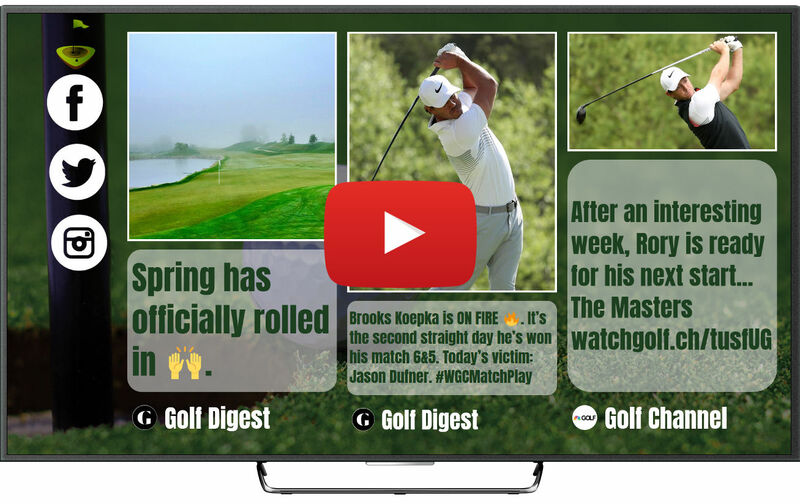 You can also choose and play videos from your customer's YouTube channel on your digital signage solution. 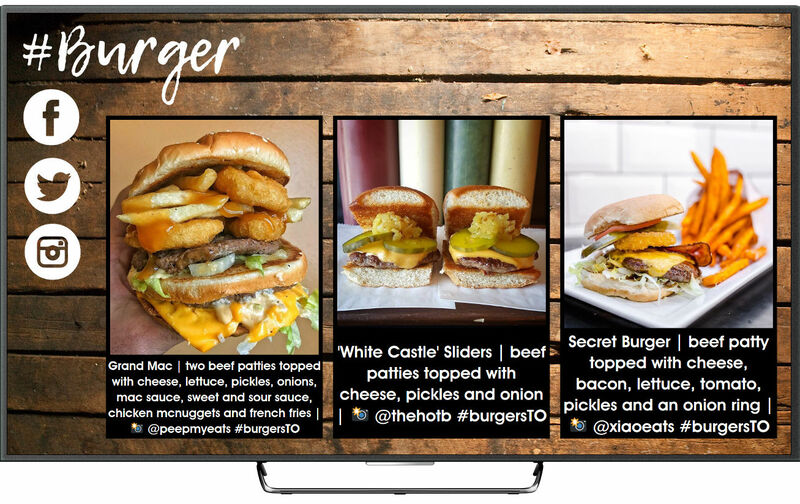 Let's display social media content on your digital signage! With an experience of more than 15,000,000 Twitter tweets, pictures, GIFs and videos, 8,000,000 Instagram pictures and videos, 5,000,000 Facebook photos and 1,000,000 YouTube videos displayed in more than 5,000 screens of more than 20 countries worldwide we can help you to bring social media content to your screens. We develop solutions to integrate social media into your digital signage network with reliability and security, let's talk!